jjolano's open source FTP server for the PS3. See the README for the default user/pass and other info. 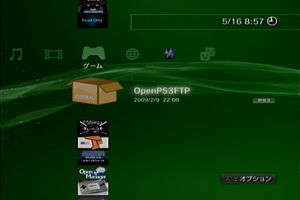 jjolano's open source FTP server for the PS3. For security reasons, you should also check out the PS3 OpenFTP Server download at LO4D.com which includes virus and malware tests. Additional screenshots of this application download may be available, too. Featuring a list of downloadable titles for jailbroken Playstation 3 systems. These listings contain homebrew applications and homebrew games you can run on your PS3 system if it hasn't been updated. Check out some of the freeware downloads available in the ps3 homebrew category. They contain no strings and are available at zero cost. OpenPS3FTP has a presence on social networks. This file download is licensed as freeware for PlayStation 3 Firmware 3.55.